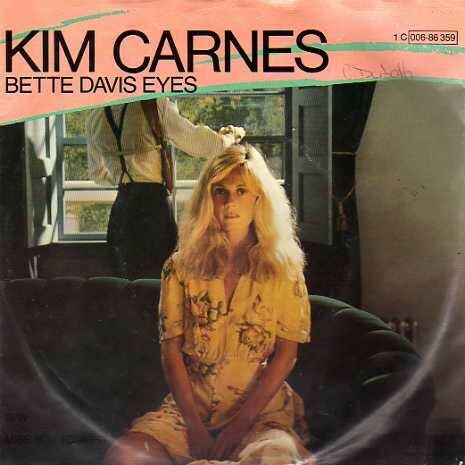 I’ve had this Kim Carnes’ song, “Bette Davis Eyes” stuck in my head for 2 days. Whether you like it or not, it’s hard to forget this one. So, I figure, if I have to suffer, then everybody should share in on it. OK. Perhaps that’s a bit harsh. It’s actually a pretty great song… for 1981 especially. The song, the lyrics, the video; everything smacks of comedy with this one. I’ve got to say though, the funniest thing to me is how Kim’s trademark raspy voice is regularly mistaken for Rod Stewart. Come to think of it, Rod would probably do a fantastic version of this tune. Hoefully, it’ll make his next ‘great American songbook’ album.